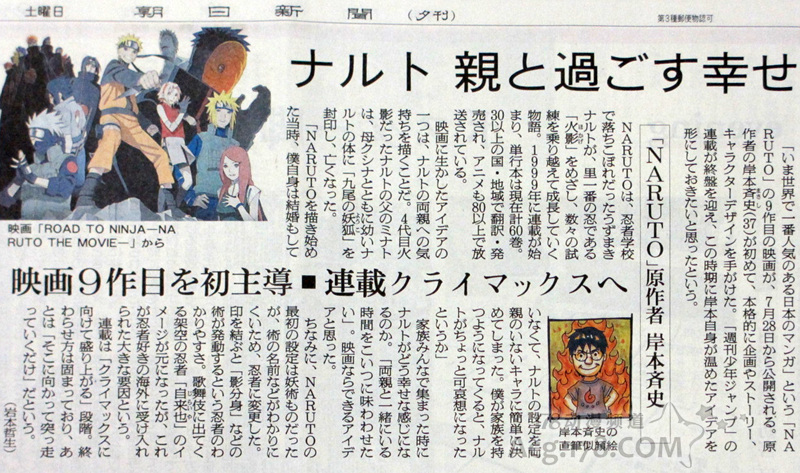 At recently Japanese Asahi Shimbun, it is reported the relevant information of the 9th Naruto film Rode to Ninja which would be shown on 28th July; while, the report have published the news about the Naruto would come to the end. 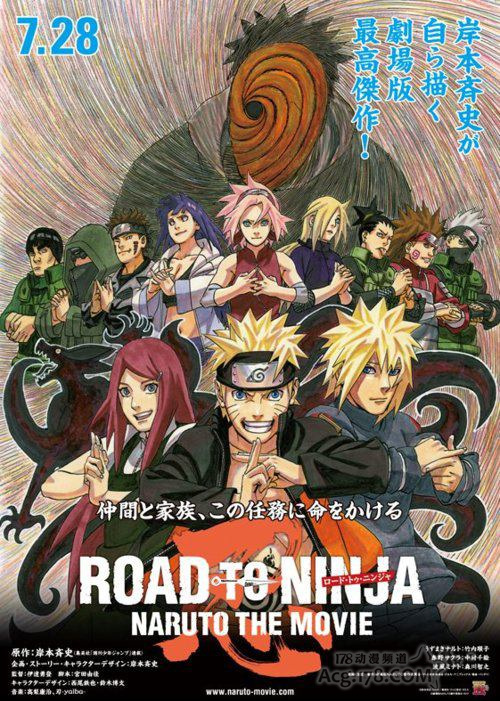 In this report, Masashi Kishimoto said, the story is progressing toward to the final climax; it indicates the Naruto which serialized for 13 years would come to the end. The anime Naruto is one Blood comic serialized in Weekly Shonen Jump; it is Masashi Kishimoto’s work and talked about the Ninja. Till now, this anime have last for 13 years, and have 60 volumes. To those Naruto fans, this anime have accompanied them spend many years; it is also one happy memory of their childhood. The news about the end of Naruto may be too suddenly to them. Perhaps know the Naruto would come to the end, Masashi Kishimoto decided to set 9th Naruto film Rode to Ninja as an overturning attempt. In this film, both naruto’s parents would come to the stage, Masashi Kishimoto said about this, as my setting, naruto become a orphan from his childhood, and it is his time to enjoy the times with his family, and this is the best gift that Masashi Kishimoto can give naruto. While, the theme song of this animation have decided, it is called See you tomorrow and song by Asian Kung-Fu Generation which have sung the op of earliest Naruto animation. I believe the song Haruka Kanata must leave you deepest memory, so this time, let’s expect the new Naruto film: Rode to Ninja. 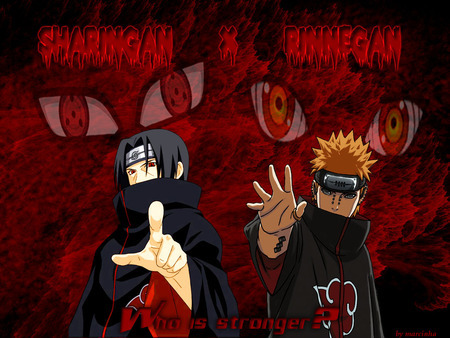 The fight of the century could said be the fight among all the Kages, so you can guess how excellent the fighting is. Back to the farm, the joiner are the leader of Hashirama family and Uchiha family. At that time, Madara own the most perfect and best Kekkei genkai — Syaringan which could said be accounting for absolute superiority; however, since there have Syaringan, why should create another Justu, the Hashirama family’s mudun secret jutsu. Finally, Hashirama Senju defeated Uchiha Madara and then decided the king position of Hashirama family, and the recessionary of Uchiha family. 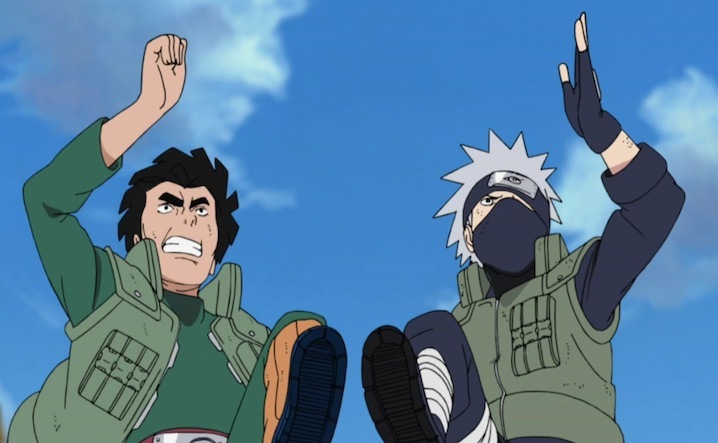 Kakashi and Guy is a joy enemy from childhood, however, their characteristic is entirely different. One is not officious, but the others always challenge Kakashi with clamor. 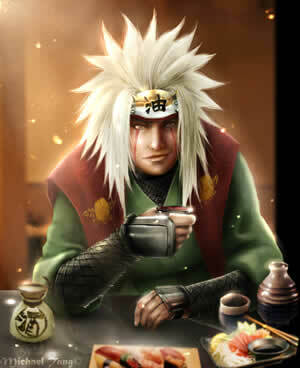 Till now, the record is Guy win one more than Kakashi. Throughout the strength, they are the same. 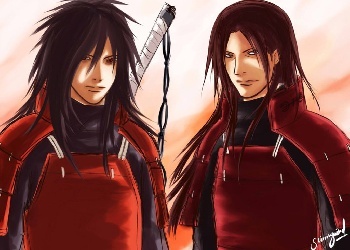 Naruto is the son of 4th Hokage, Sasuke is the descendant of Uchiha Madara. 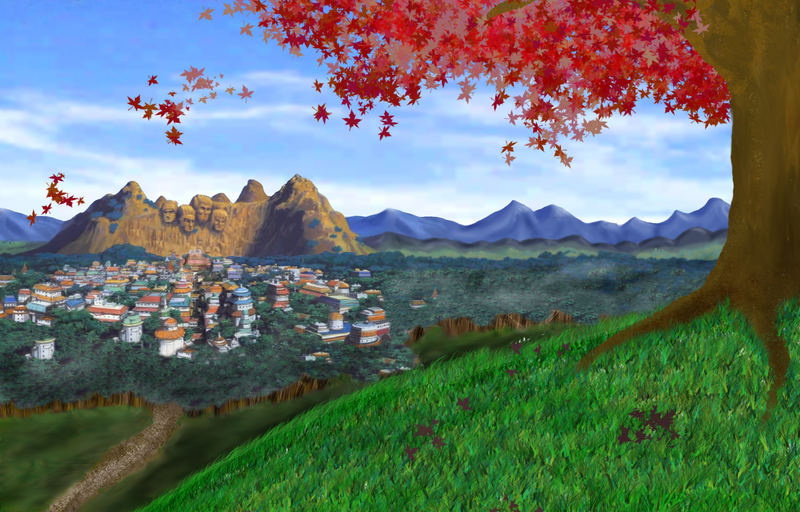 The 4th Hokage have fight with Uchiha Madara at the End valley, maybe this is the arrangement of fate, the finally fight between Naruto and Sasuke was also at this place. Since they join in the 7 class, they have never stop struggle between them, they practice together, studied together, their friendship is the mainline of this anime. They are all the powerful ninja and they are also the topics of Naturo enthusiasts. Both them have a uncommon birth, Pein is the apprentice of Jiraiya who also taught the 4th Hokage, and in addition Pein own the Rinnegan by the Sage of the Six Paths; and Itachi comes from Uchiha family, he become the leader of ANBU when he was young, and own the Mangekyō Sharingan. Although they have not fight, but we believe, their fight must be very excellent. They are female Frenemies in Naturo, I think you must hear of them. At the beginning, they are inseparable good friends; but then they become opponents and rival for strive the girlfriend position of Sasuke. Finally, at the examination of Chuunin, they bury their differences and reconciling. 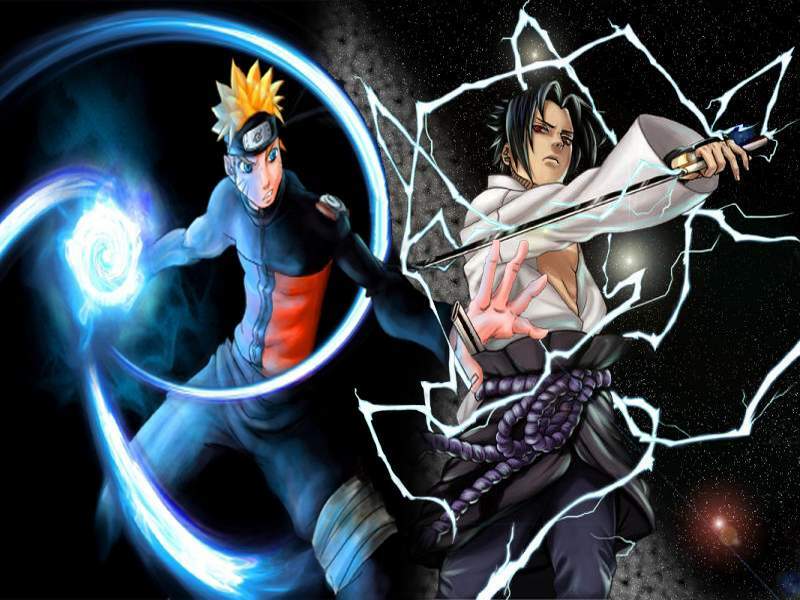 We all know that a good weapon is very important to people, no matter in which literary opus, the weapon is one very important element, especially in Naruto which have so many fight scenes. 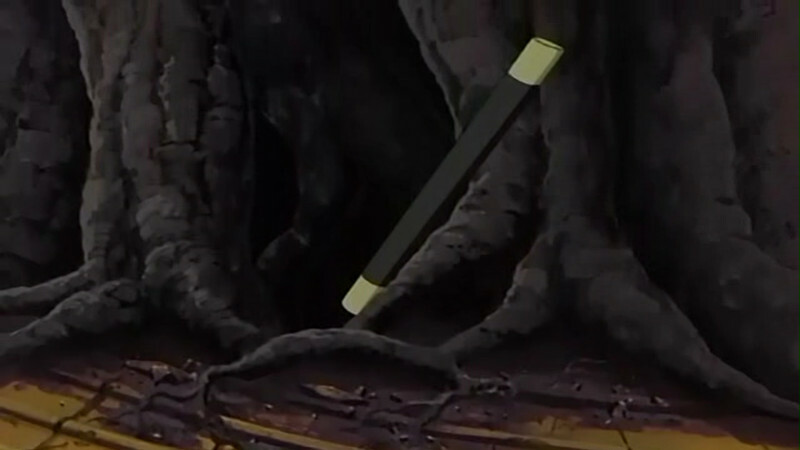 So today, we talk about the weapons in Naruto. Characteristic: Shuriken is one very common weapon in Ninjas’ world; it can be purchased in every Ninja weapons chain store. 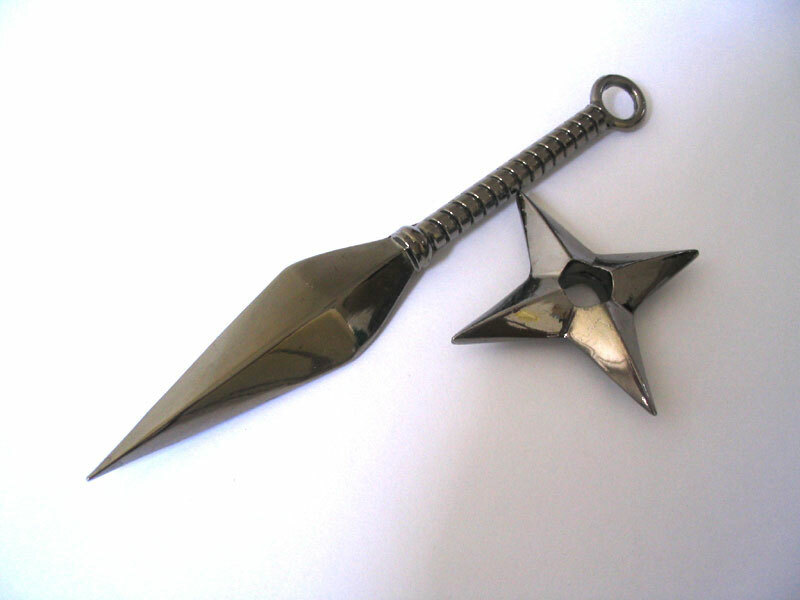 Besides that, the reasonable prices, convenient to carry and suitable for all ages are all the advantages of Shuriken. Usually, Shuriken has been used for constitute as tactics together with Detonate Sign (Shikamaru V.S Hidan ), in addition to this, Ninja could use their Shuriken to send combination Ninjutsu, such as the Shuriken Kagebunsin nojyutu of 3rd Hokage, the Shuriken seems very simple, but it could also play huge power. In short, Shuriken could said be the preferred weapon for Ninja. 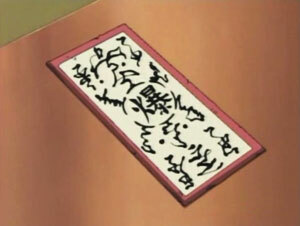 Characteristic: the power of Detonate Sign is in proportion to its investment, if you could take out 600 billion Detonate Sign such as Konan, so congratulations; these Detonate Sign could kill most Ninja except someone who master space Ninjutsu. So the ordinary weapon could play powerful strength. The Detonate Sign is suit for every ninja. 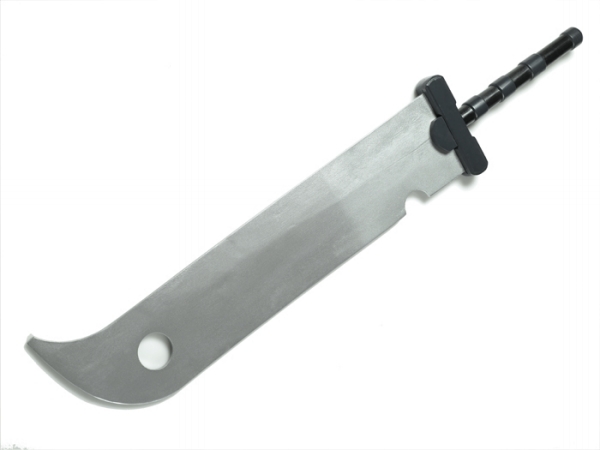 Characteristic: the cross sectional area of Beheaded broadsword is big, and present streamline very suit for chop. And the most important point, even broadsword was break, if it touches blood; it could be recover such as new. Do not belittle this feature; it could help you save a pretty penny. Characteristic: Kusanagi-no-Tsurugi is very sharp, it could break golden and stone, and the length is changeable. This weapon is very suitable for Orochimaru who often changes his body. Actually, the Kusanagi-no-Tsurugi is a really exist in Japan. Characteristic: Monkey King Enma’s transformation technique, which is characterised by the hardness of diamond and its at-will extendibility, the Adamantine Staff is the Third Hokage’s “weapon of choice”, so to speak and with it in hand he’s made it through a world of war for an extended period of time. Characteristic: The Puppet Technique is a unique Ninjutsu fighting style; this technique uses chakra threads to control puppets like marionettes. Any number of chakra threads can be used to control a puppet, but users with more skill can use fewer strings per puppet. Both Chiyo and Sasori demonstrated the ability to control entire puppets perfectly using just one thread. 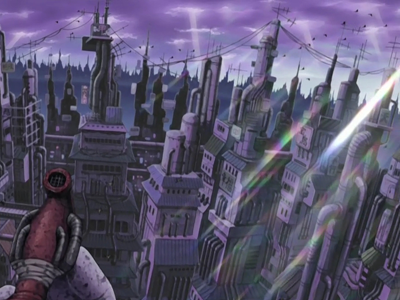 While most puppeteers would normally be able to control ten puppets at most (one per finger), Sasori’s self-modification allowed him to control up to one hundred puppets at a time. In Naruto, there derive a new word “hang the tailstock”, it means come bottom. In Naruto, the most popular character who hangs the tailstock is Uzumaki Naruto. Actually, there have some other role also own this attribute. It seems very interesting, let’s discuss it. And in other way, these people grow in to very powerful people; it seems “hang the tailstock” could be changed. Uzumaki Naruto as the first one who was hangs the tailstock, and also the most popular one, he would become Hokage seems necessary. In Naruto’s childhood, he always the last, however, as the hero of this anime, he must not so weak all the time, this could said be the law in all kinds of anime opus. So as the story going, the ability of Naruto displayed little by little, his potential is huge, so finally, he should become a powerful Hokage. At the beginning, I also don’t believe Jiraiya had also hang the tailstock, but Facts speak louder than words, he was really the one who always be in last. ～ Eh.. no matter how powerful he current is can’t change his last place truth! 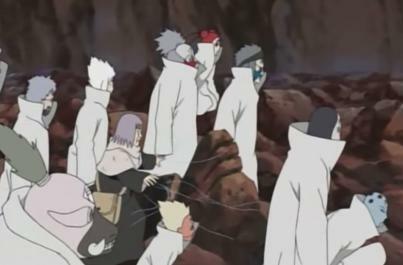 However, there is only Jiraya could schooled over the genius ninja 4th Hokage. Obito is the most powerful gens in Konohagakure, I have found a law, and there have one genius people around the people who hang the tailstock. However, Obito maybe the worst among all, there have two genius round him, one is kakashi who become Chunin in 12 years old, and the other is Uchiha Itachi when he was born and think of the genius. Fortunately, Obito has a very good mentality, he never blames everything but himself for his suffer, he always positive and happy, in this aspect, Obito likes Naruto very much. 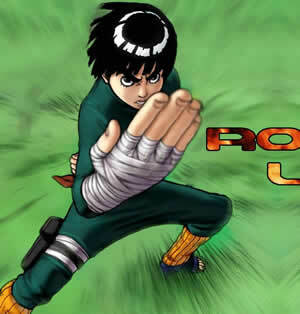 Rock Lee is one down-to-earth and self-deprecating role, different from Sasuke and Neji who have special ability with born, and different from Naruto who have special encounters, but he has fortitudinous willpower, he believe, only if he has enough strive, he could also become a excellent ninja. In fact, he really do, rely on his fortitudinous willpower, he tend to develop from Taijutsu, and finally trained the Renka. He could has these achievements, besides his trail, his teacher Gai must deserve much, actually, a people who appreciate you is also very important. How Shikamaru should is the last? But facts speak louder than words, he really is. Depends on his talent, Shikamaru would become the top of his grade is not a problem, but he doesn’t want to do! Shikamaru always sleep on the class, so his performance should not be so good. Because of his lazy, Shikamaru tied for the last place with Naruto. Thanks to his wise mind, Shikamaru is the first one becomes the Jonin of his grade. As the big boss in 1 season of Naruto, every fight of Orochimaru is very excellent, especially his attitude of overlooking crowds really attract us. In the first season, he shows us three excellent fights: one fight for destroy Konohagakure; fight with 3rd Hokage and then the famous three-way Battle for treating his hand. In the second season, Orochimaru continue to combat to Naruto, Sasuke, and Itachi. Every time his appearance is so gorgeous, his aura is always so powerful. Maybe Orochimaru have one never give up spirit, one attitude that no matter what he suffered, he could laugh at it. So I place him as the first one. 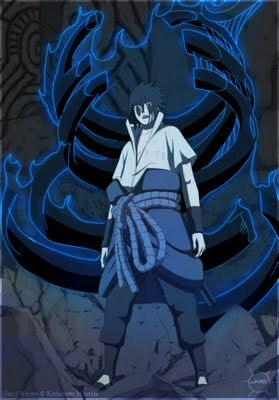 In the first season, when Sasuke met with Orochimaru, he is just a child; although it is a overmatched fight, Sasuke show his strength of first in his class, the coordinate of his Ninjutsu is also very good. The second one worth to watch is the end fighting, I think it is the most classic fighting in Naruto. 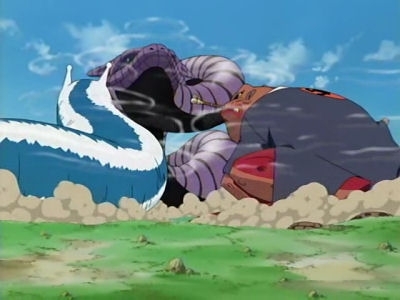 I have remember when I say the battle between Gaara and Kimimaro, I was so exciting and think this battle is the most excellent; however, when the end fighting appeared, the mentioned battle seems not so wonderful as before. And the third fight of Sasuke is he against Deidara, at that time; both the strength and his fighting wisdom of Sasuke have shown absolutely. Different from others, I think Shikamaru win the third place. 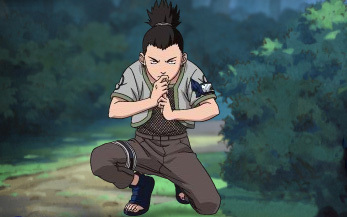 If we said to who is the best one can design battle plan, I think it must be Shikamaru! At the first season, when he fight with Temari, the repeat application of “Mantis catches cicada, siskin is in hind” win so many cheers. I think at that time, I think not just Temari flipped, we all fall in love of Shikamaru. 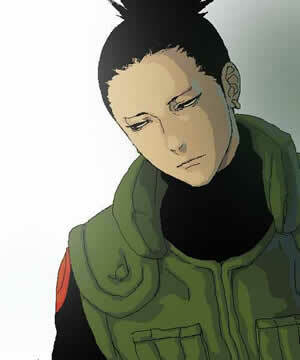 If Shikamaru is also very handsome, I think he could become the popular King. And besides his first battle, the later fights he also show his special combat prowess, his battle plans are very excellent, I think no one could surpass him in this section. Special Characteristics: He is a Jinchuuriki. Personality and Biography – Naruto Uzumaki is an energetically stubborn kid known as a notorious trouble-maker in his hometown of Konohagakure. He likes to skip classes at the ninja academy, and often plays pranks on everyone. His most notable prank was when he vandalized the rock faces of the Legendary Hokages with paint. For the most part, Naruto is a victim of cruel fate. 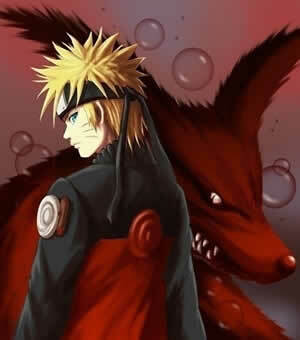 Both of his parents have died before he even knew them, and to make things worse, the feared nine tailed fox that once threatened their village was sealed inside of him by the fourth Hokage when he was just a baby. This stigma in mind, people from his town avoided him like a person with incurable disease. He grew up alone with no friends, and no parents. The root of his trouble-making efforts is a struggle to gain any kind of attention. It is his way of reaching out. However, he has a desirable trait whereas he doesn’t cry in a corner feeling sorry for himself, but instead he does something about it regardless of what other people say and think. This mindset is his trademark personality in the anime series as he strives for his dream to be the next Hokage being known as the hyperactive knucklehead who never gives up. The turning point in his life is during the Genin exams as he groups up with Sakura Haruno and Sasuke Uchiha to form team 7, taught and supervised by a Jounin ninja named Kakashi. 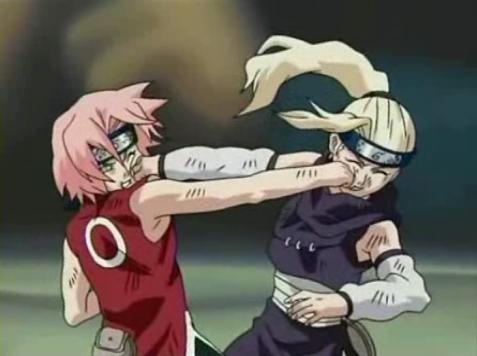 Naruto has a crush on Sakura even though she finds him annoying, and Sasuke, whom he claims he hates, is Sakura’s crush. 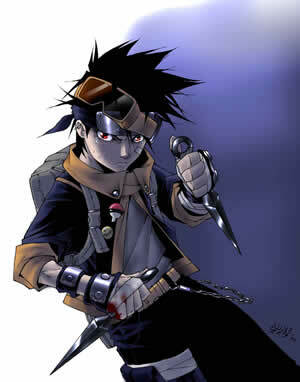 As they went on missions, Naruto displays a loud, reckless, and emotionally driven personality. He usually does the the most illogical tactics ever such as going for a stronger enemy head on, unlike Sasuke, his acclaimed rival, who would assess the situation with a more logical approach and prefer maintaining stealth until the opponent drops his/her guard. Even though this characteristic of Naruto is most often considered as stupidly inferior behavior especially during missions, it often serves him well during crucial moments of the story where he manages to overcome his enemies with raw determination and will-power.